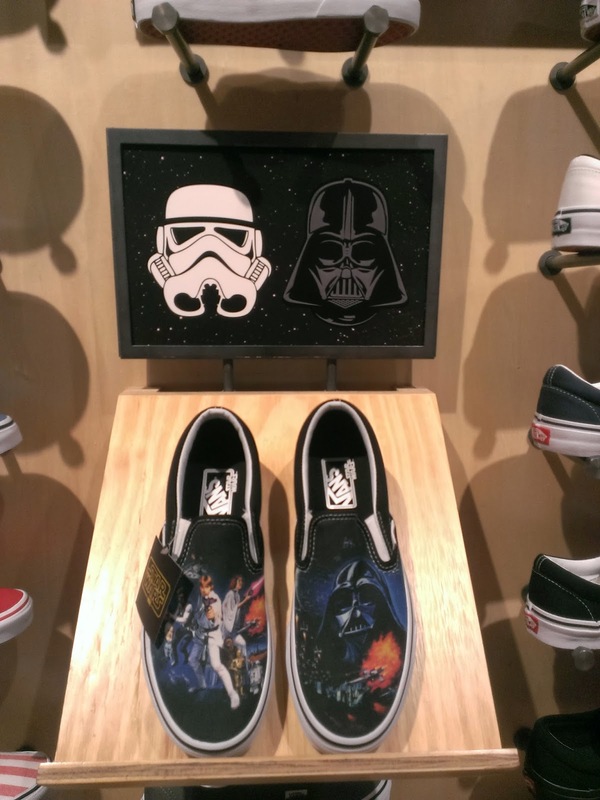 The Star Wars x Vans shoe collection has arrived! 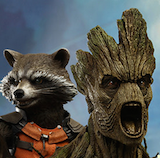 The release was on Sunday, June 1st and we had an opportunity to see what was being offered. 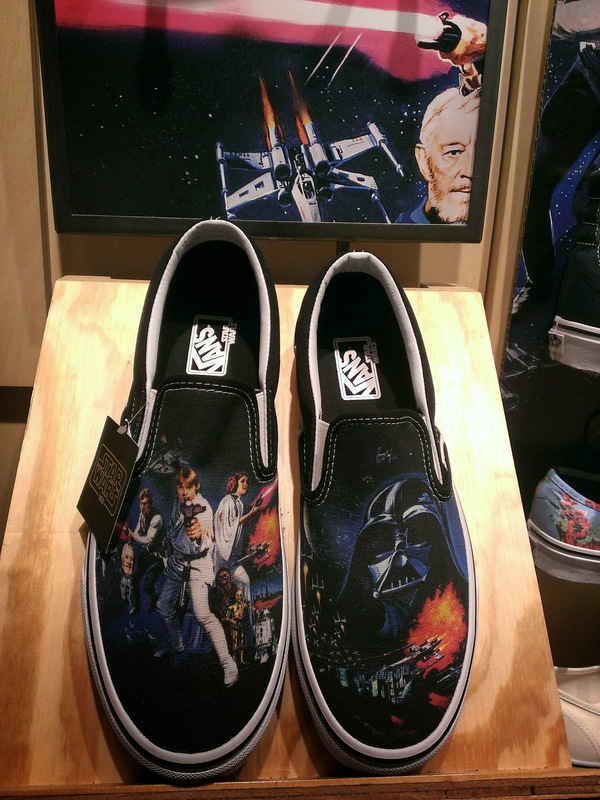 As soon as you come to the entrance, the Vans store had a great window display. 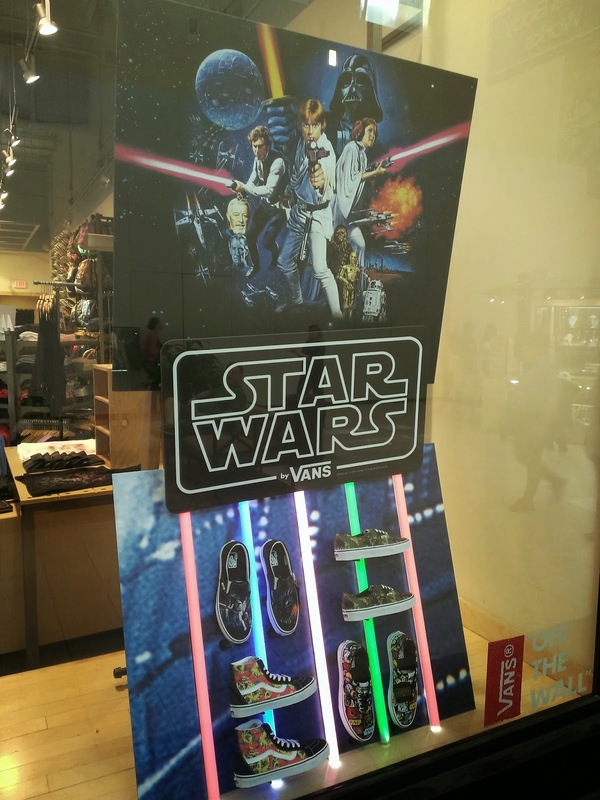 The Vans store had this window display on both sides. 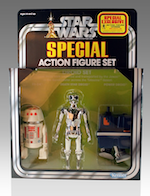 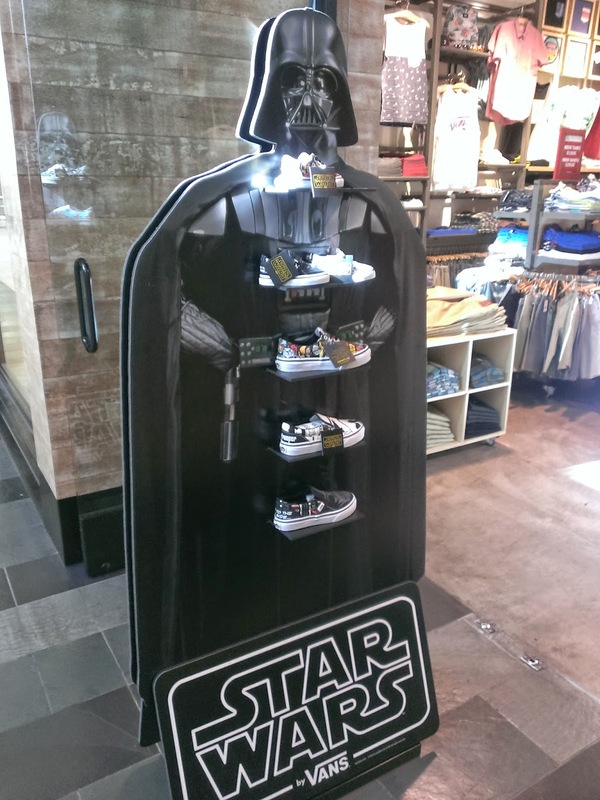 Now as you enter, we would be welcome with a very special treat with another amazing display with Darth Vader. 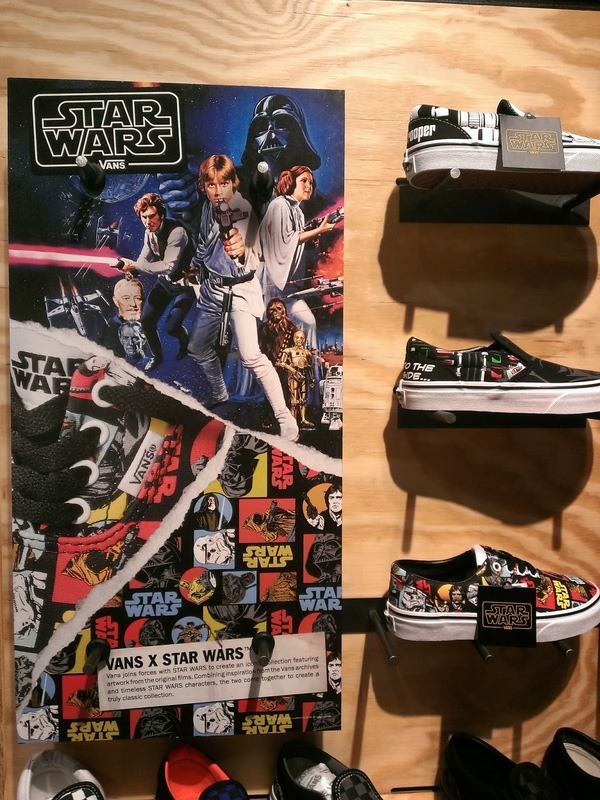 Once entering the Vans store, you can "Feel the Force" inside filled with all the Star Wars goodness from the Star Wars x Vans shoes to hats, to backpacks. 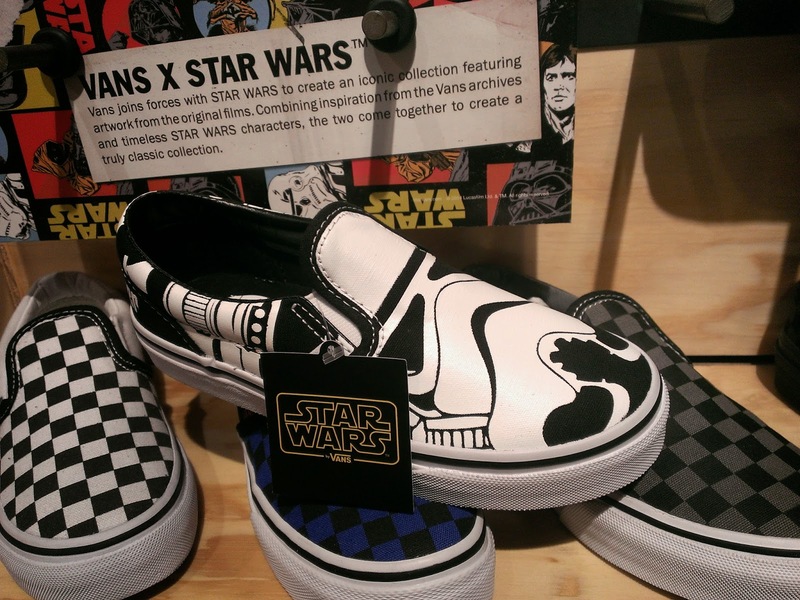 The great thing about the Star Wars x Vans line is that there are literally shoes for all ages! 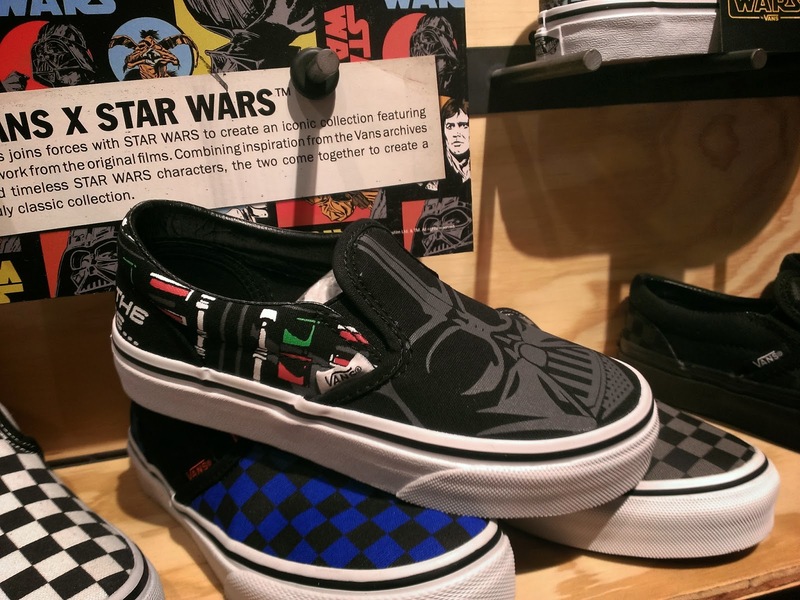 We shared a previous post originally once we learned about the amazing Star Wars x Vans collaboration and it was great to see them first hand. 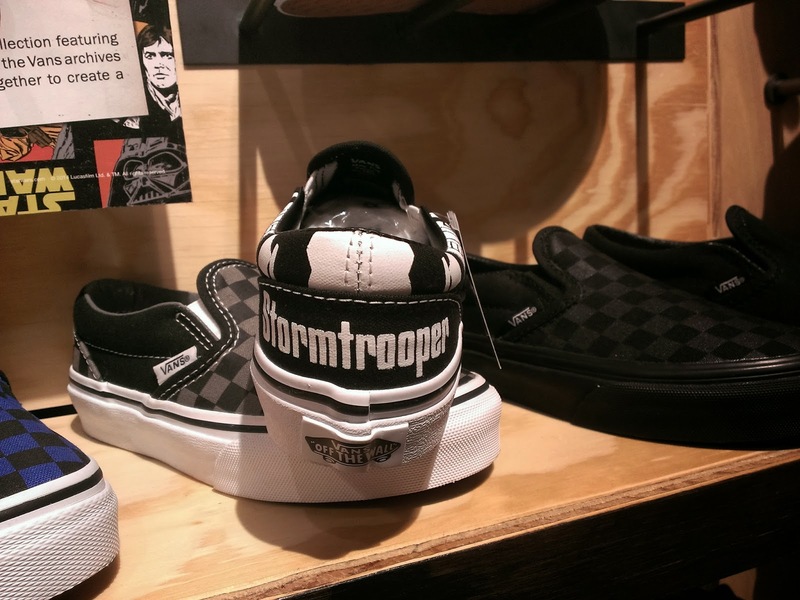 What a great combination to bring back the traditional Vans styles with our favorite Original Trilogy Star Wars themes. 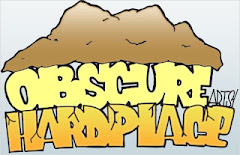 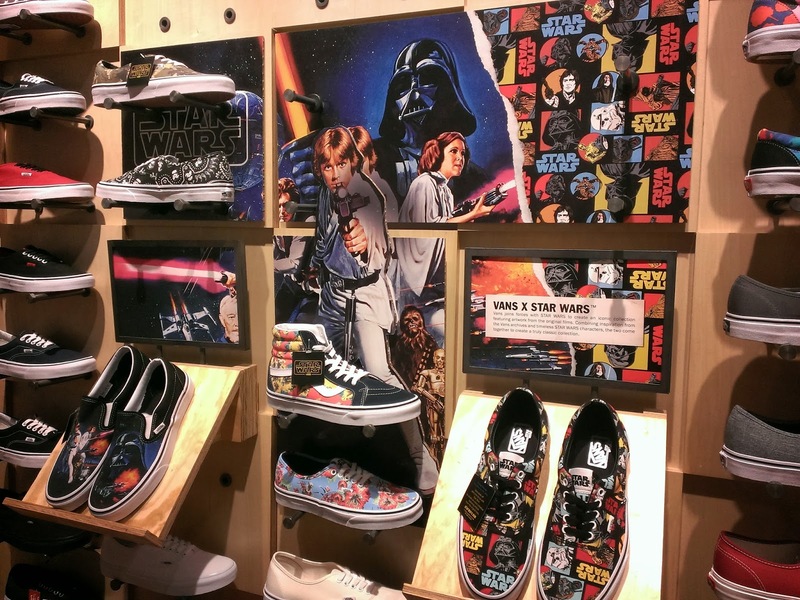 The displays throughout the store were something incredible and we wish we can get our hands on one of them. 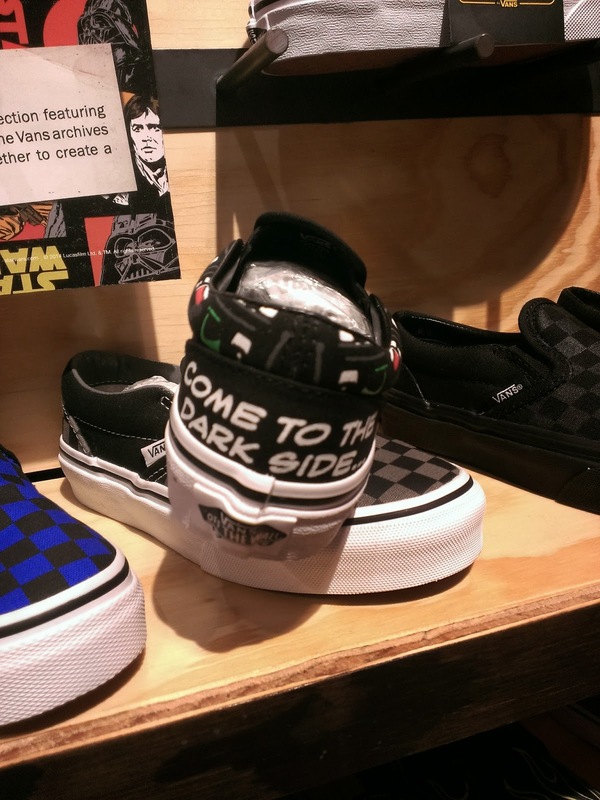 Again, the Star Wars line is awesome because the whole family can definitely be rocking their favorite Star Wars x Vans shoes. 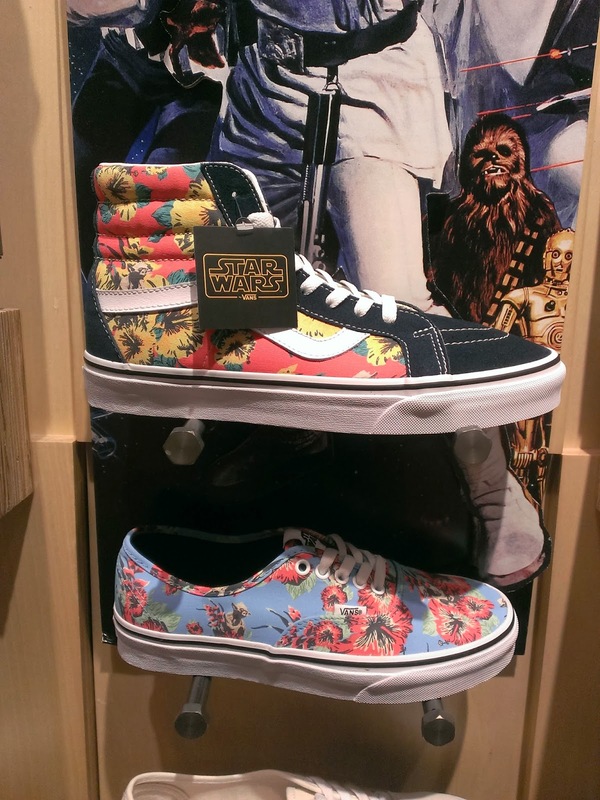 The youth and toddlers actually have two pairs of shoes that I wish would be available for adults. 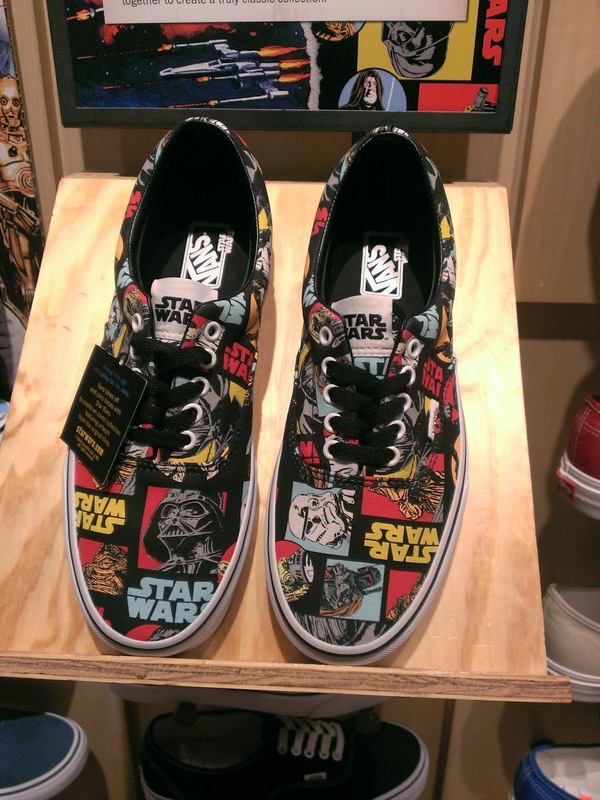 The Star Wars line will be expanding at Vans throughout the Summer according to the staff. 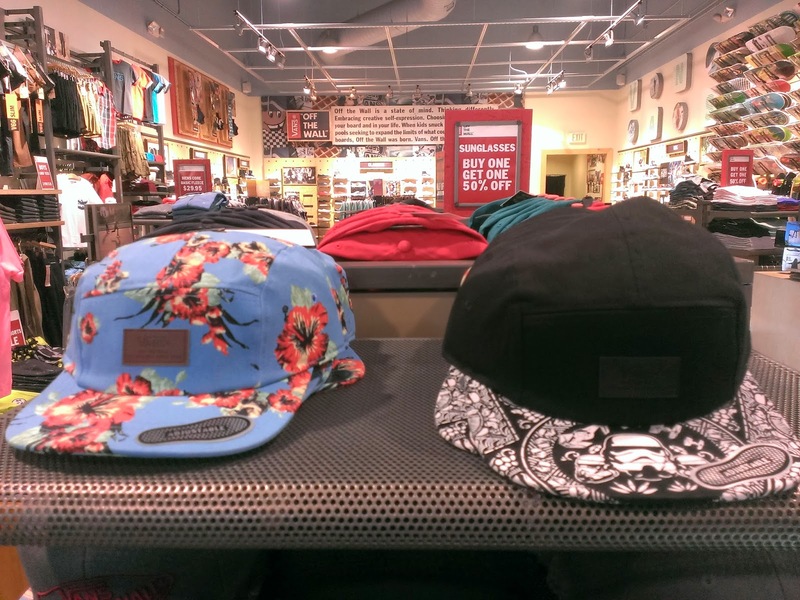 There were also a couple of different hats available. 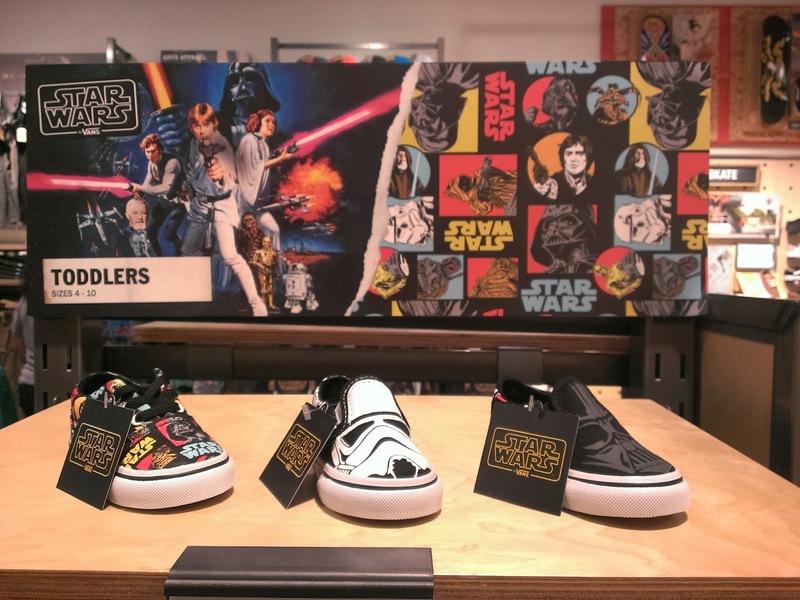 Overall, we are definitely loving the Star Wars x Vans line and looking forward to seeing what will be coming out this Summer!